Plymouth car tuning tips and advice. We have a wide range of tuning articles covering all models of Plymouth from the classic models right up to modern cutting edge track day special editions. Plymouth tuners are hard to find and Plymouth performance parts suppliers can be even harder to track down. But following our tuning tips you will avoid many of the common mistakes and actually achieve the car setup you desire with some very simple tuning principles and generally available tuning parts. Please join the forum for model specific questions and answers and to meet other owners and see what modifications they have done. 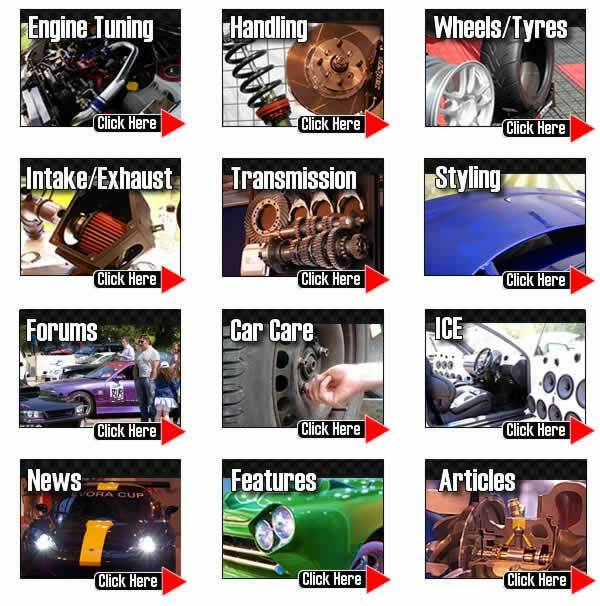 TorqueCars started providing Plymouth performance part pointers, car styling and car engine tuning tips and advice back in 2003 and have grown from strength to strength with a fast growing membership of all types of cars including many, Plymouth owners. We are currently one of the fastest growing car tuning clubs around and certainly one of the friendliest. Our Plymouth tuning articles and styling tips and features are constantly being updated and refined so to keep up to date with what is hot in the tuning world and for the most recent Plymouth performance part,styling and engine tuning advice, tips and pointers please check back regularly. We strongly recommend that you join our Plymouth forums and swap performance part ideas with like minded Plymouth owners in the performance part forums. If you have a Plymouth project underway we would love to hear about it, the Gallery section in the forum contains some interesting projects. Scroll down the page to see our latest tuning articles for your Plymouth. We list the 10 best performance modifications for your engine and list the most effective performance mods. Choose the right mods needn’t be a mystery with our top 10 guide. Superchargers offer the promise of substantial power gains with very few drawbacks. So lets look at the growing popularity of supercharger kits and see what its all about. A supercharger is quite simply an air compressor which helps push more air into an engine. These are driven by a belt from the engine effectively creating pull on the engine sapping up to 30% of the engines power. With the poor winter driving conditions hitting the UK in 2010 many drivers are looking at winter tyres. Other countries are prepared for the snow and poor weather and are used to the concept of winter tyres. So what are winter tyres, what do they do and are they a good idea? TorqueCars look at the turbo upgrade options from larger turbos to hybrid turbos and examine the benefits and drawbacks of each option with suggestions on how to choose a suitable turbo upgrade and hit your tuning goals and aspirations. The more power you want from a turbo the greater the amount of heat it will generate and the bigger the stress on the internal components.